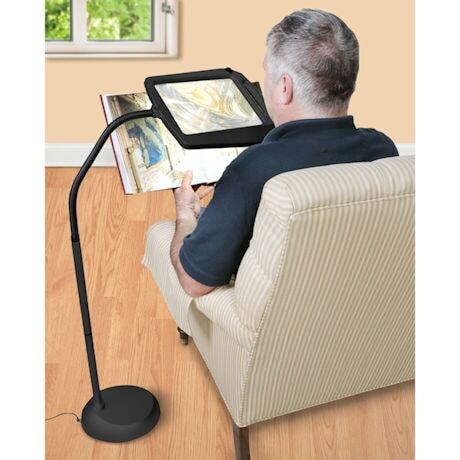 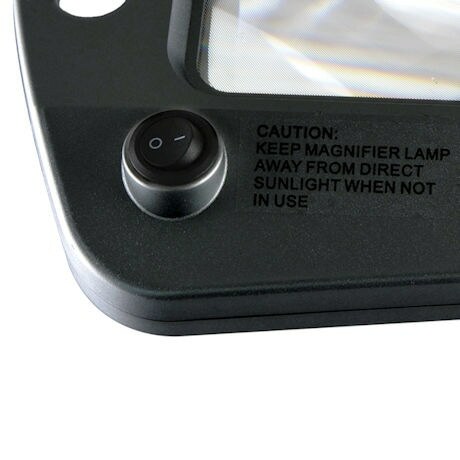 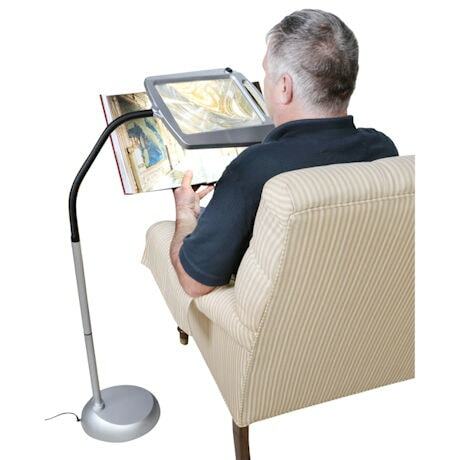 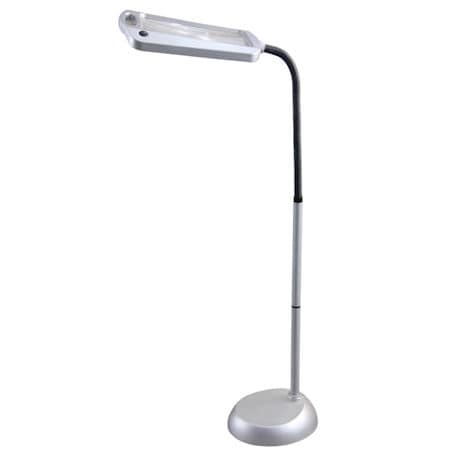 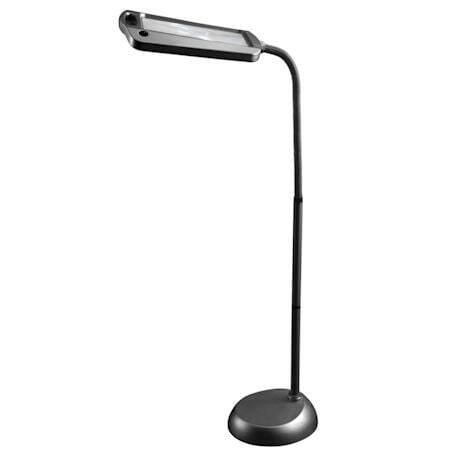 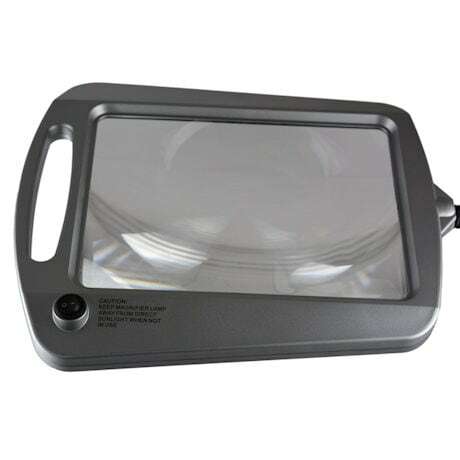 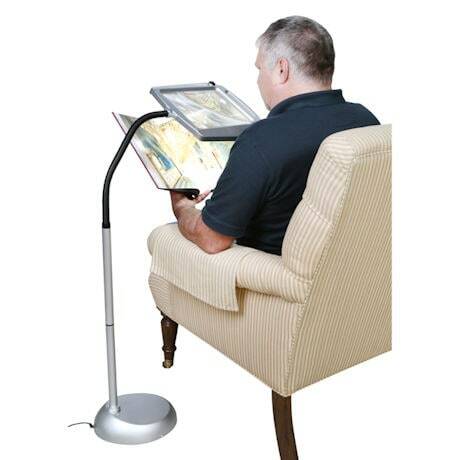 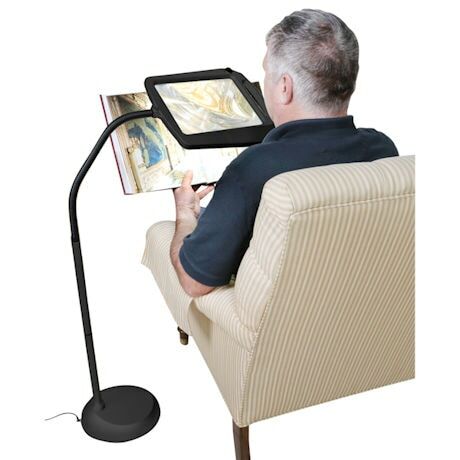 This Floor Standing Lighted magnifier features a light, polymer lens big enough to enlarge an entire 8" x 10" page to 3X its original size. 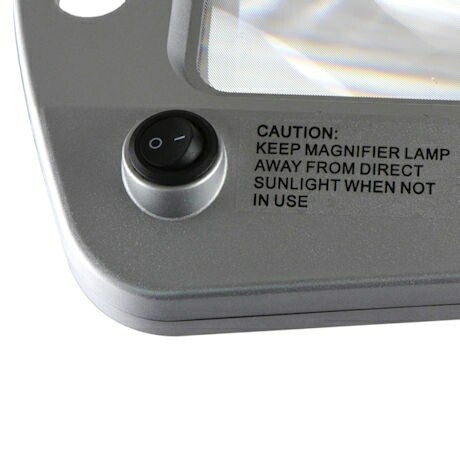 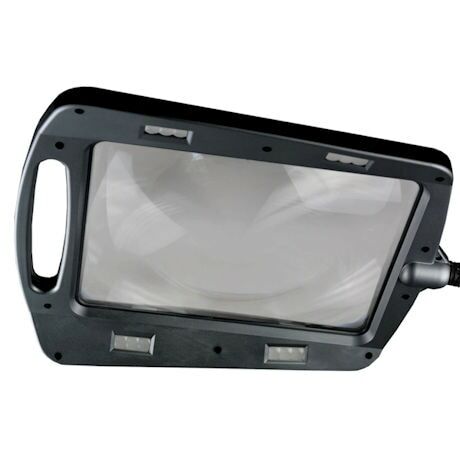 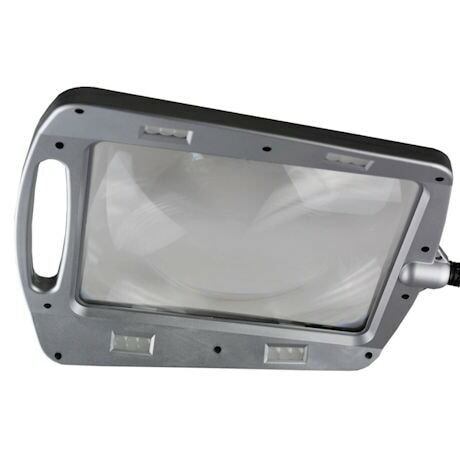 12 natural daylight LEDs with a rated life of 50,000 hours, provide bright light to help reduce eyestrain and assist you with close-up tasks. 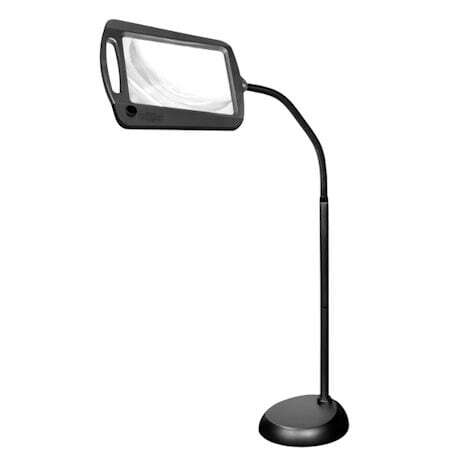 Adjustable gooseneck and large, strong handle allow you to raise, lower, or twist the lens to the optimal position. 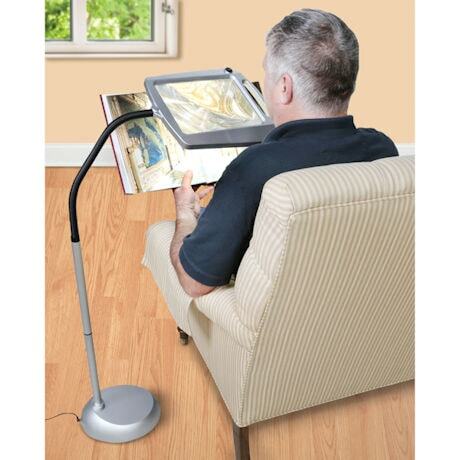 Sturdy, weighted base. 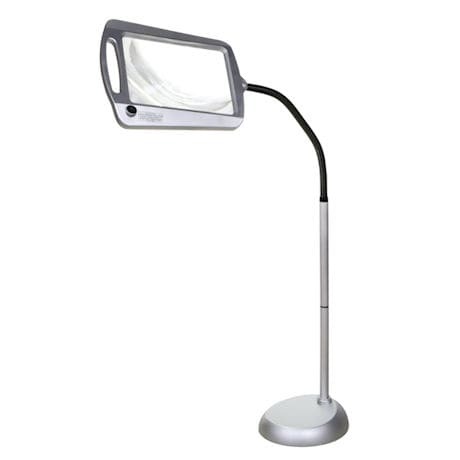 47" H x 23" W x 12¼ "D. 9lbs. 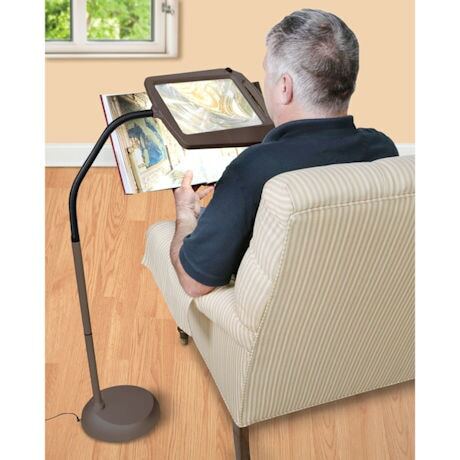 47" H x 23" W x 12¼ "D. 9lbs.